A few days ago, we reported that Sharp will be introducing its new bezel-less Aquos S2 at an event in Beijing today. And, as promised, the handset was indeed unveiled, boasting an impressive, yet oddly familiar design. Sharp appears to have borrowed some ideas from the Essential Phone, and the Aquos S2 also bears a resemblance to recent iPhone 8 leaks. 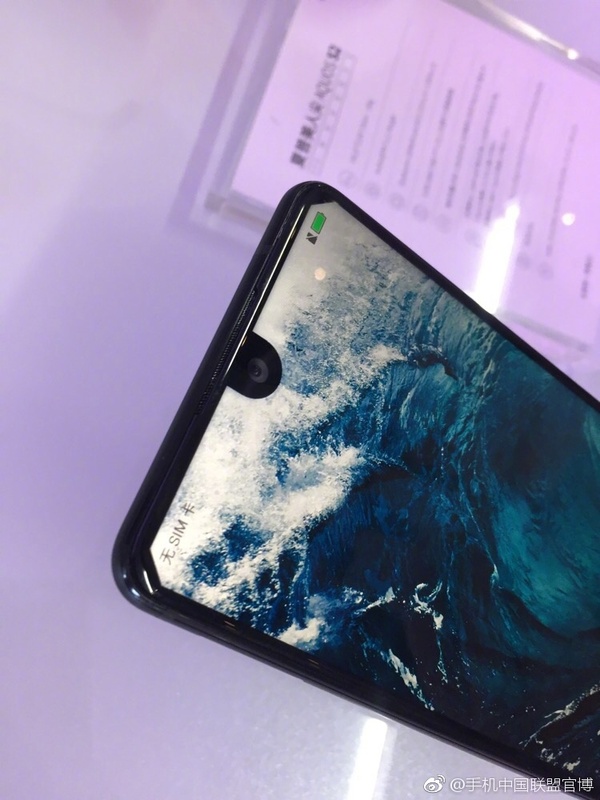 Similarly to the Essential Phone, the Aquos S2 comes with extremely slim bezels on all sides except the bottom, with a teardrop-shaped cutout on the top one to accommodate the selfie camera. The notification bar is split in the middle by the front-facing camera, just like with Andy Rubin’s phone. The main difference is the home button with embedded fingerprint scanner, which is housed in the bottom bezel. The back, on the other hand, is somewhat reminiscent of the iPhone 8 renders and dummies that have been making the rounds in recent months. It features a vertical dual-camera setup with a flash in the top left corner and nothing else but the Sharp logo near the bottom of the back plate. In terms of hardware, the Sharp Aquos S2 comes in two variations. The first makes use of Qualcomm’s Snapdragon 630, 4 GB of RAM, and 64 GB of internal memory. The second employs Snapdragon 660, 6 GB of RAM and 128 GB of storage. Both versions boast a 5.5-inch LCD screen with a resolution of 1080 x 2040 pixels. This means that the display comes with a 17:9 ratio, including the notification bar at the top. All of this is packed in a relatively compact body, which makes for a screen-to-body ratio of 87.5%. This beats the Samsung Galaxy S8+, one of the top bezel-less smartphones out there, by 3.5%. The Sharp Aquos S2 will start selling in China on August 14. The less-powerful version will cost around $372, while its mightier sibling will set you back $520. As of yet, Sharp hasn’t mentioned anything about an international release. How do you like the Sharp Aquos S2? Would you buy it if you could, or do you prefer a more traditional approach to smartphone design? Let us know in the comments.